An interesting aspect of Crystal Cave is how it prevented Heineman’s Winery from closing. During Prohibition, it became increasingly difficult to stay open. Fortunately, the Crystal Cave tours helped to keep the business afloat. Interestingly, there were many more wineries on the island prior to Prohibition. However, they did not have a tourist attraction like this to aid them. Consequently, the other wineries were forced to close. Thankfully, the great island tradition of wine making continues with the Heineman family. This interesting cave is located beneath the historic Heineman’s Winery. The winery is the oldest family run winery in Ohio. Since 1888, they have been producing island wines. The location is at the intersection of Catawba Rd and Thompson Avenue. Moreover, Perry’s Family Fun Center is across the street. Here, there are many fun things to do in Put-in-Bay. The War of 18 Holes Mini Golf, Gem Stone Mining and more await guests. 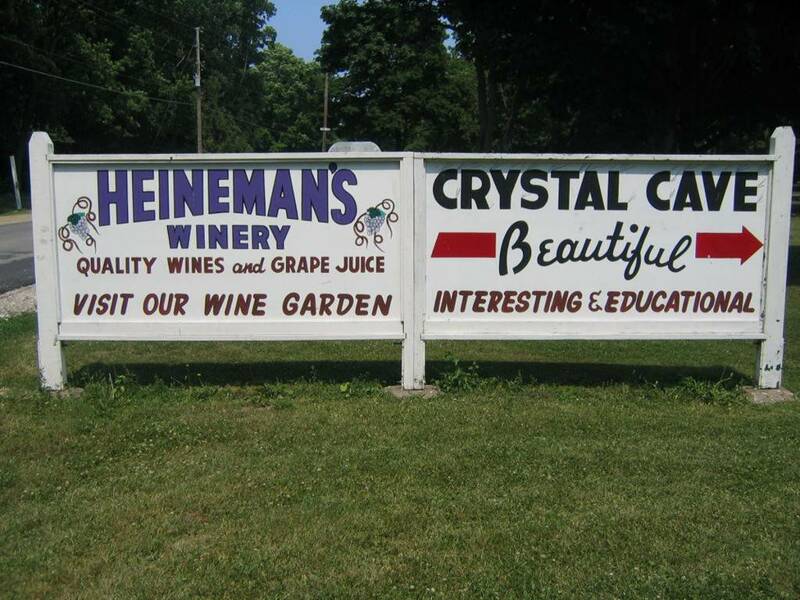 A trip to Put-in-Bay wouldn’t be complete without a stop at Crystal Cave at Heineman’s Winery. This geological wonder must be seen for one’s self. Moreover, the history of the property is worth a visit alone. Stop in and see this great thing to do in Put-in-Bay!